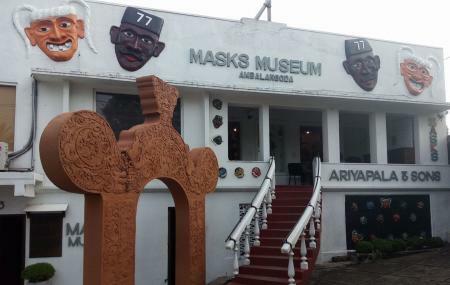 The Ariyapala Mask Museum houses a huge number of traditional and quirky masks for exhibits and also for sale. It is a great initiative to uphold the cultural heritage of the Ambalangoda village. The Wijesooriya Family has been actively started preserving the almost-dead culture of the masked plays and so far they have been able to carve around 120 unique masks. The museum has the main exhibits, the library and the workshops open for public. The Karava people hailing from fishing community, has a tradition of masked plays and the various masks that are used in this play are on exhibit, the Kolam Maduwa especially. Check out the workshops to know more about this cottage industry and don’t forget to bring home souvenirs. Personalize your visit to the city by chalking out a plan using Ambalangoda trip planner. Your worry of where to stay in Ambalangoda is sufficed by bunch of interesting and comfortable lodging options in the Ambalangoda like Walauwa The Villa Ahungalla, Ramon Beach Resort and Lotus Paradise Health Resort. Generate executable plans on your own or book the top rated Ambalangoda vacation packages for your visit. Read more on how to reach Ambalangoda. Love this? Explore the entire list of places to visit in Ambalangoda before you plan your trip. Fancy a good night's sleep after a tiring day? Check out where to stay in Ambalangoda and book an accommodation of your choice. How popular is Ariyapala Mask Museum? People normally club together Sri Lanka Chamo Tours and Natural Moonstone Mine while planning their visit to Ariyapala Mask Museum. We got to see how these masks are being made and talk to the talented artists. Upstairs is a shop with masks and other unique items for sale. Entrance to the museum is free but so worth a donation. The museum is small but very nice. You can see many masks and read how they were used, typical stories or healing dances. Interesting and free. Really a worth place we visited. Could know more about the artistry and the tradition of Sri Lanka. The explanation by the staff was really useful. She was patient and highly skilled. Really a great initiative by the Government of Sri Lanka. The place eas neatly maintained and was simple. Highly recommended. Good selection of traditional dance masks. Prices aimed at tourists so you need to bargin hard to get a good deal. The range and quality is what makes it stand out from all the other mask shops in Sri Lanka.